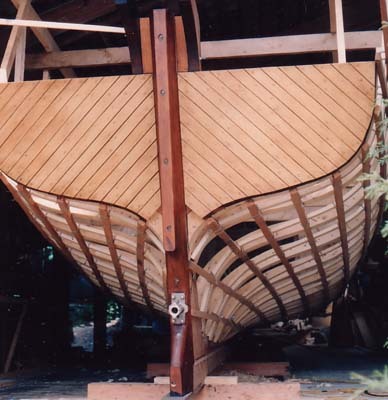 Blarney Pilgrim began life on Galiano Island in the boatyard of renowned boat builder Greg Foster. For this unusual vessel, Greg Foster used the lines of a "Finnish Scoote" found in Architectura Navalis Mercatoria, a book first published by Frederik Hendrik Chapman in 1768.
the client ordered work discontinued and abandoned the project. 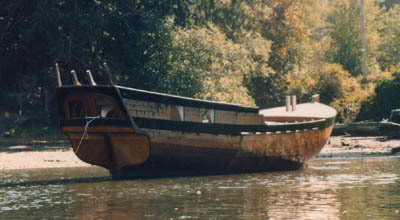 The hull lay in Whaler Bay until the spring of 1986 when it was bought by Captain Paddy. Having purchased the hull, Paddy then towed the vessel to Victoria and set about the task of completing the vessel. 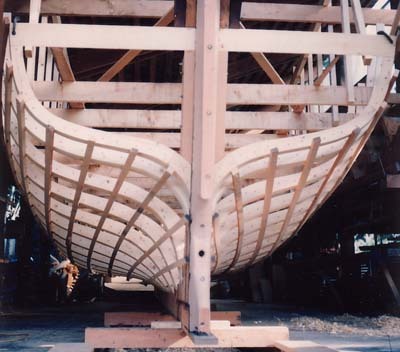 The project took advantage of Paddy's skill as a woodworker as well as his love of traditional seaman's arts. By 1987 the houseworks and interiors were roughed in, and mechanical, electrical, and engineering systems were well underway. 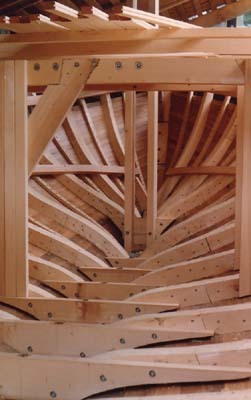 Paddy had even successfully incorporated a westcoast style wheelhouse with the 18th century hull. 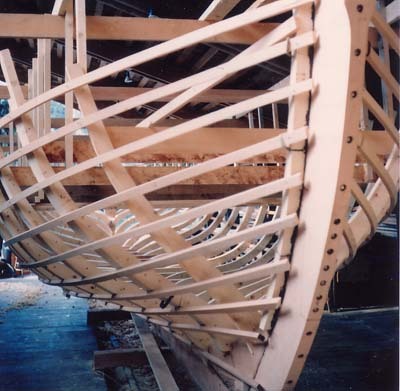 Paddy chose to rig Blarney Pilgrim as a Square Tops'l Schooner. 6 cylinder Gardner diesel engine. The diver that found the perfect anchor winch on a wreck on the ocean floor. The masts were stepped in early 1989. With temporary rigging still in place, her maiden voyage was in May of 1989 to the Northwest Folklife Festival in Seattle, Washington. Since then she has spent her time as a private home and charter vessel travelling the west coast of British Columbia. Blarney Pilgrim is a familiar sight in anchorages and at many festivals throughtout the Pacific Northwest. She participated in "Tallships 2002". 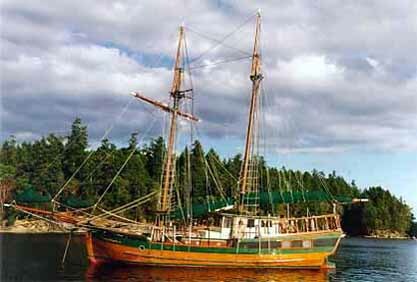 She was awarded "Boat of Greatest Interest" at the Vancouver Wooden Boat Festival in 2001. She has also been featured in two films and a number of television shows.